Bills to address drought response, water conservation, water pollution, a troublesome bridge, and funding for environmental agencies top our list of priorities. 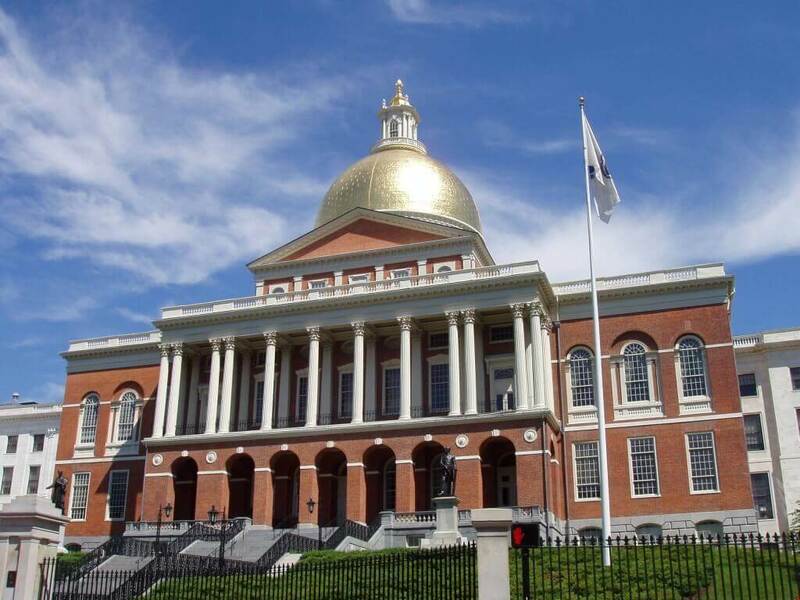 Recently, NepRWA’s Executive Director, Ian Cooke, headed to the statehouse to meet with some of the 22 State Representatives and Senators whose districts are in the Neponset River Watershed. He managed to visit staff members in nine offices including Representatives Shawn Dooley, William Galvin, Dan Hunt, Louis Kafka, John Rogers, and Angelo Scaccia, along with Senators Linda Dorcena Forry, Michael Rush, and James Timilty. He also had the opportunity to sit down face to face with the Neponset’s newest state senator, Walter Timilty, along with Gabby Queenan, the Policy Specialist for the Mass Rivers Alliance. An Act relative to drought management (S.425/H.2115) would give the Massachusetts Drought Management Task Force statutory authority and provide the EEA Secretary with the authority to require conservation measures during a drought. Filed by Rep. Dykema and Senator Eldridge. Special thanks to Neponset Representatives Daniel Cullinane, Shawn Dooley, Denise Garlick, Daniel Hunt, Louis Kafka and Neponset Senator Walter Timilty for Co-Sponsoring. An Act providing for the establishment of sustainable water resource funds (S.1126/H.2116) would authorize municipalities to assess a “water-banking” fee on development projects to conserve water, address environmental impacts and fix municipal infrastructure. Filed by Rep. Dykema and Senator Eldridge. An Act to improve water quality and pollution control programs (H.2139) directs the Water Resources Commission to conduct a gap analysis of efforts in Massachusetts to meet the goals of healthy waterways under the Federal Clean Water Act. Filed by Rep. David Rogers. Special thanks to Neponset Representative Daniel Hunt and Neponset Senator Walter Timilty for Co-Sponsoring. An Act authorizing the Department of Highways to acquire a certain dam in the town of Norwood (H.1886) would correct a problem caused when MassDOT took part of but not all of a bridge owned by a subsidiary of the Neponset Watershed Association at Willett Pond in the towns of Walpole, Westwood and Norwood. Filed by Neponset Representative John Rogers. Special thanks to Senators Michael F. Rush, James E. Timilty, Walter F. Timilty and Representatives Paul McMurtry, Paul R. Heroux, and Daniel J. Hunt. Lastly, while it wasn’t part of our recent lobbying efforts at the statehouse, the other thing at the top of our legislative agenda this session is securing adequate funding for our state environmental agencies, the MA Department of Environmental Protection (MassDEP, our main regulatory agency), The MA Department of Conservation and Recreation (DCR, our main state parks agency), and the MA Department of Fish and Game (DFG). The budgets of all these agencies have been decimated over the last decade, with hundreds of staff leaving and not being replaced. Leaving these agencies without the person-power to even begin doing their jobs properly, as anyone who has been applying for environmental permits or visiting the state parks in our watershed can attest. Governor Baker’s proposed budget for these agencies next year recommends a slight increase for MassDEP, a large additional cut for DCR, and a small cut for DFG. Local programs such as the Trailside Museum have also been zeroed out. While the modest improvement for MassDEP is an encouraging first step, overall the trend continues to be strongly in the wrong direction, in spite of Governor Baker’s campaign pledge to substantially increase support for state environmental programs. In the coming weeks, the Legislature will begin work on these bills and the state budget in earnest. Stay tuned as we will be asking our members to contact their legislators to support these measures in the weeks ahead. The Mass Rivers Alliance is a statewide group that brings together individuals and organizations from across the Commonwealth to focus on policy and legislative changes needed to protect all the Commonwealth’s rivers—including the Neponset. The Alliance has been spearheading most of the Bills on NepRWA’s list of priority legislation. Ian Cooke, NepRWA’s Executive Director serves as Board President of the Mass Rivers Alliance.